Can 3D printing be used to get around patents on the products you wish to 3D print? As far as the United States International Trade Commission (ITC) is concerned, the answer to that question has just tilted a little further toward “yes”. On September 23, 2016, the ITC, which is the governmental organization charged with policing what goods may cross U.S. borders, finally dropped its investigation against the dental equipment manufacturer ClearCorrect, a company that generates 3D-printable models for dental aligners. The move comes long after the ITC lost a legal battle that decided that the ITC does not have the power to police the importation of digital data, even where that digital data is being used to 3D-print a patented product in the United States. Without the power to police the importation of digital data, it was decided that the ITC only has the power to block physical articles from crossing the borders of the United States. The Court laid out several reasons for denying the ITC the power to police the importation of digital data. Most importantly, the statute that gives the ITC its power to block the importation of goods is limited to blocking the importation of “articles”, and the case hinged on whether “articles” can include electronic transmissions or whether it is limited to “material things.” To answer this question, the Court appealed to “common sense” that “there is a fundamental difference between electronic transmissions and ‘material things.’” Digital data representing a 3D model, in the Court’s view, is not a material thing. There were secondary reasons about how the term “article” is used in other parts of the statute, and how the ITC may not actually be equipped to block the importation of digital data, but the case turned on the Court’s conclusion that the transmission of electrons is not a material thing. The case gets interesting when you look at exactly what ClearCorrect was doing to avoid U.S. patents. 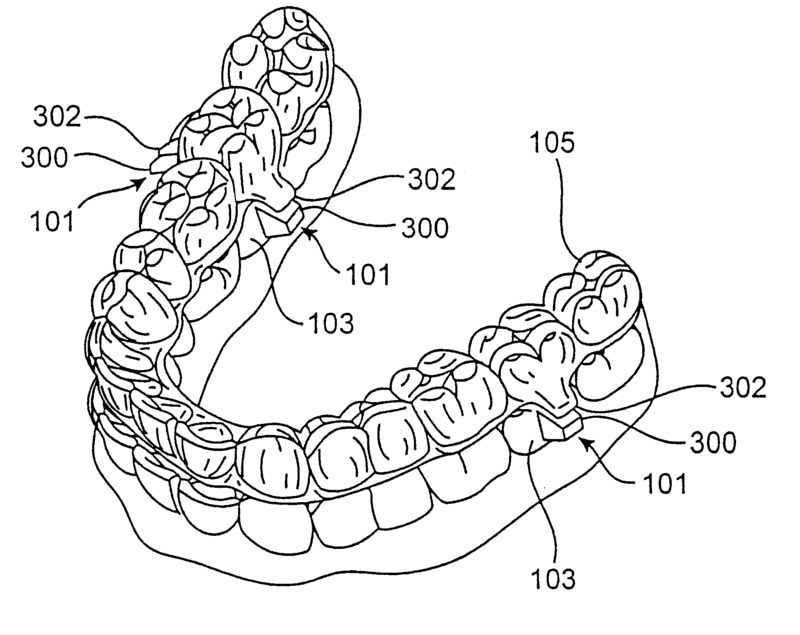 It first must be noted that ClearCorrect was following a method for 3D-printing a personalized set of dental aligners that was similar to a method covered by a U.S. patent. The method involved scanning a patient’s teeth, generating a digital dataset from the scan of the teeth, developing a digital treatment plan for the patient (a series of digital models representing increasingly tight dental aligners), and finally producing the dental aligners through 3D printing. ClearCorrect took one of the steps in the method and offshored it to Pakistan. The patients’ teeth were scanned in the U.S., and the digital dataset was generated in the U.S., but this digital dataset was then sent to Pakistan for the development of the digital treatment plan, outside the reach of a U.S. patent. Finally, the digital treatment plan was then send back to the U.S. for 3D printing. The ITC wanted the power to block the importation of the digital treatment plan, but was denied jurisdiction. The Court decided that the digital models were not “material things” and therefore not within the jurisdiction of the ITC to police. Whether the Court’s decision was the right one for driving investment in 3D printing is an open question. The time limit to appeal to the Supreme Court has expired, and the ITC has dropped its investigation against ClearCorrect, so until another case comes up that would challenge the Court’s ruling, the decision is final.